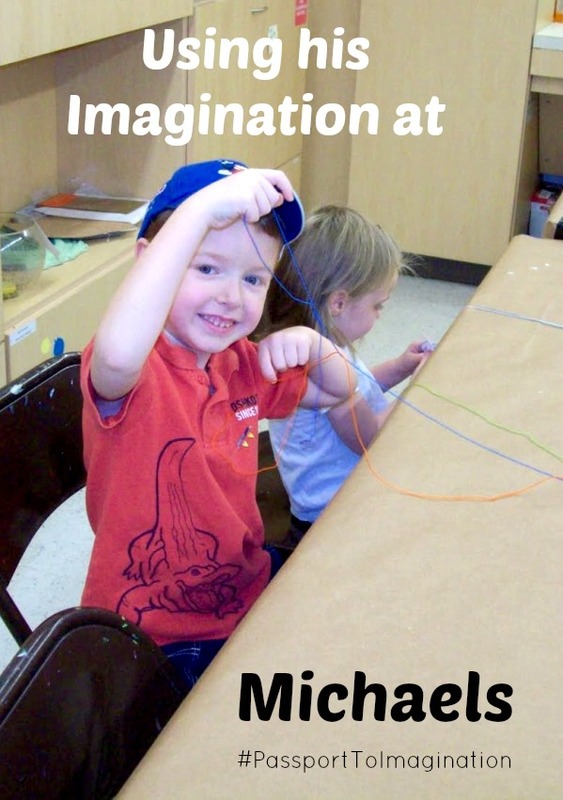 Michaels #PassportToImagination Classes! 2 Hour Summer Activities For Only $2.00! The following is a sponsored post on behalf of Michael’s Passport To Imagination Classes. Opinions expressed are that of my own. 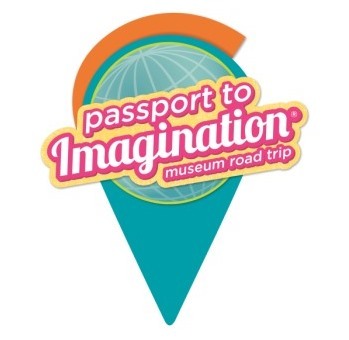 One of the activities I have used to keep my kiddos entertained during summers past, is the Passport To Imagination programs offered at Michaels Stores. 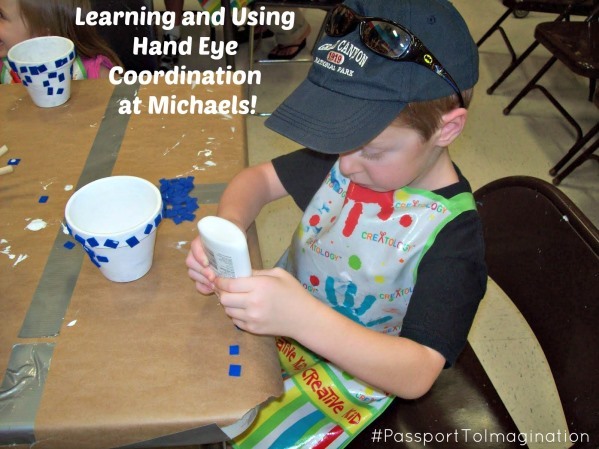 Michaels kids programs are a great way to encourage Hand Eye Coordination and Brain Stimulation, and we have attended similar classes throughout the year. My children have really enjoyed the crafts and we all have made neat keepsake items. 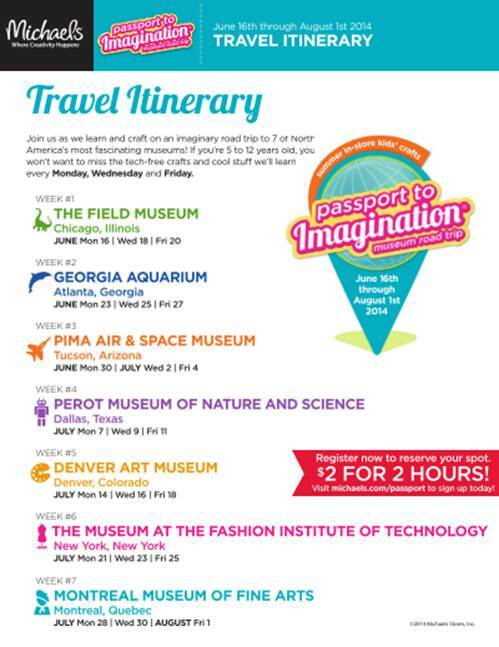 This summer, Passport To Imagination will be available from June 16 to August 1st at stores nationwide and is intended for kids ages 5 and up. The program will run every Monday, Wednesday, and Friday from 10 a.m. to 12 p.m, and each 2-hour session costs just $2. To make this years events even more exciting, the program has partnered with 7 of North America’s best museums to create a Museum Road Trip. 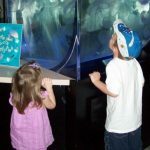 Each day, kids will experience culture through crafts with projects inspired by world-class museum exhibits. $2 gets 2 hours with Craft Projects inspired by World-Class Museums! For kids to sign-up for a #PassportToImagination class, parents can head over to a local Michaels store and see a store associate. In addition, you can also register online by visiting Michaels.com/passport. To participate, click on Sign Up Now. There you will be directed to the classes page. Scroll down and click on Kids Programs. Once you select the session you want, simply follow the rest of the directions online to reserve your spot. There you will also complete your payment information. Spots are limited, so don’t delay. Have you taken your children to Michaels to create crafts? What has been your favorite creation thus far? To learn more about Michaels and their classes visit Classes.Michaels.com. You can also check them out on Facebook at facebook.com/Michaels and Twitter at @MichaelsStores. I can’t wait to check out the classes being offered during the month of July! Museum Reciprocity! Save Money or Get FREE Admission! 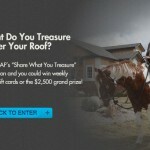 “Share What You Treasure” For A Chance To Win A $2,500 Shopping Spree To The Home Depot From GAF! I didn't know they had a program for kids. I love this hope to see more programs like this. Thanks for sharing. I love Michaels. We tend to spend a lot of time there, more so in the summer. We have a Michael's close by. I didn't realize they had craft time for the kids, what a great idea. So neat! I will look into our local Michael's! My mother-in-law used to take my niece (now 13) to classes there when she was a toddler. I had no clue those classes still went on! My kids are doing this classes a few times a week. I love that it includes everything and there is no messes at home! My little boy would love to attend one of these. There is a Michaels close to our house too! I had no idea that Michaels did craft classes like this! That is awesome! Now I need to find out where my closest Michael's is! That is such a fun way to entertain the kidlets for a little while. Sounds like fun!! Thank you, Michael's for encouraging learning and creativity. With all the video games and electronics out there, it's good to see a program that promotes play and imagination. Good job, Michael's! I love to see kids encouraged to be creative rather than just sit in front of a television. I have a Michaels near me. I need to see if I can get my kids into their program, looks fun! My kids are enjoying these classes, we just did one today - robots! What a great way to encourage kids to be creative this summer! My daughter has gone to Michaels camps before and loved it. 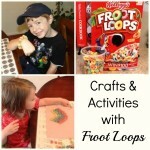 Great price and fun crafts. I wish my kids were old enough for these classes! They would have so much fun! That looks like so much fun! We haven't been yet this summer, but went to a couple of classes last year and really enjoyed it. I didn't know that they did these classes. They seem like such a great idea! I bet the kids love them! This looks like such a fun activity for kids! I have to tell my sis about it for her kids! It really looks like they think it out really carefully to come up with creative things for the kids. What a great idea. And I love how affordable it is! That is so much fun. And the price makes it perfect.